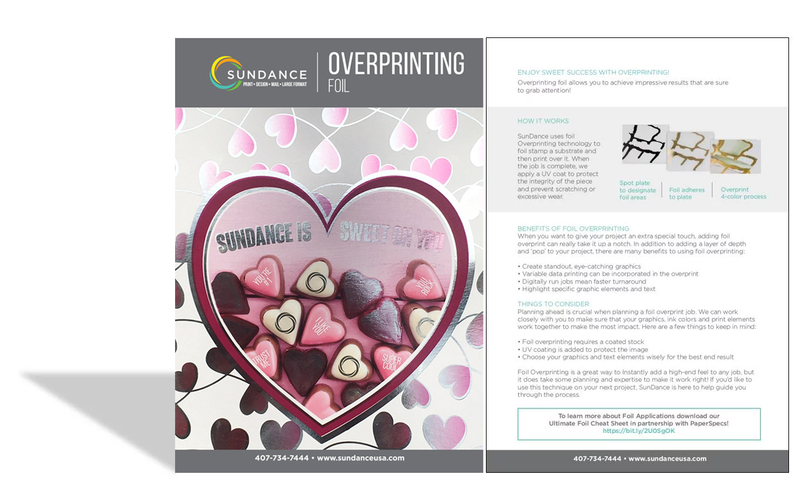 Enjoy Sweet Success with Overprinting! Overprinting foil allows you to achieve impressive results that are sure to grab attention! You can download an electronic version of it here. In collaboration with the Foil & Specialty Effects Association and PaperSpecs.com, we are proud to announce the release of the Foil Cheat Sheet. 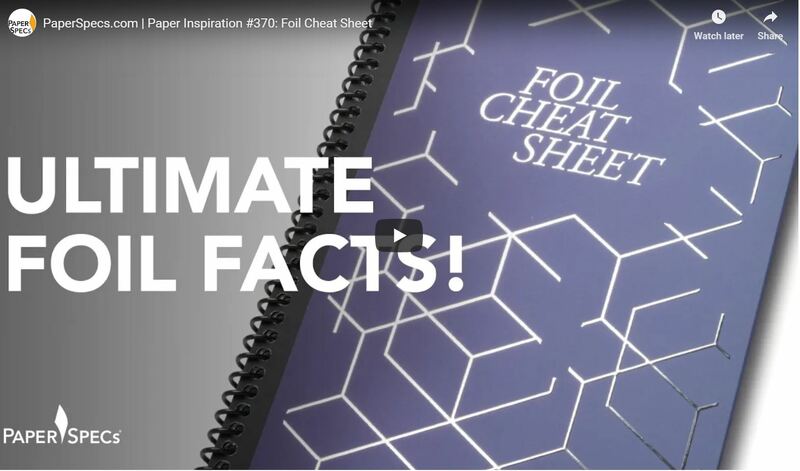 It's an indispensable resource for anyone looking to choose the perfect foiling technique for your next project & tips / insights to make your work look the very best. 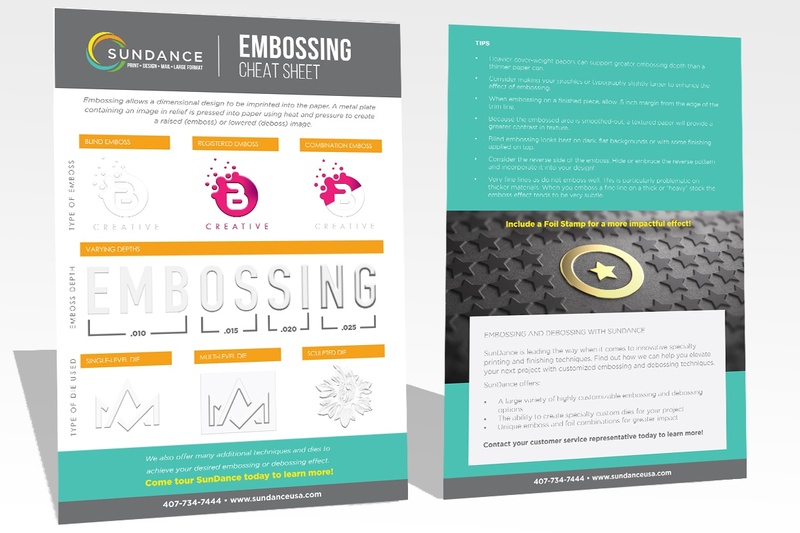 New Embossing Cheat Sheet Now Available! Using effective embossing and debossing can take your project to the next level. Our double-sided Embossing Cheat Sheet highlights some of the most common types of embossing and debossing techniques available. 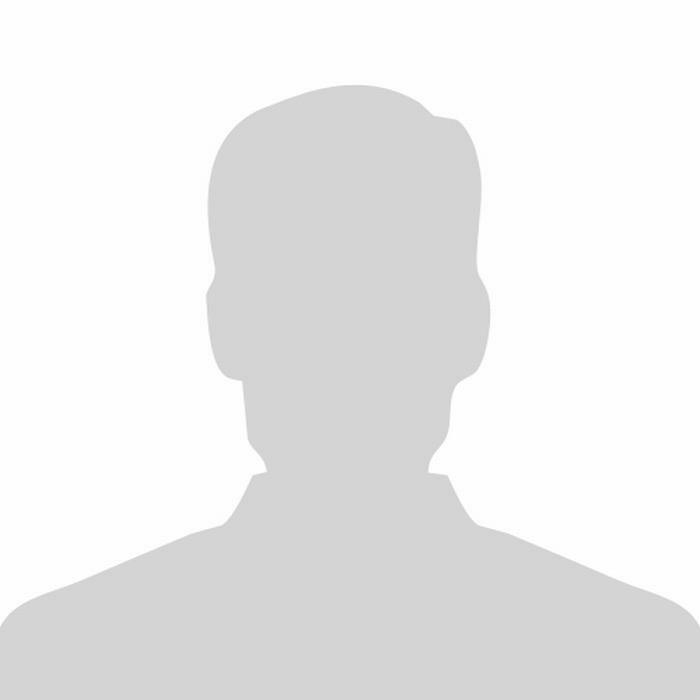 It’s a great reference tool to keep on hand for your next specialty project. Get Cutting-edge Tips with Our Die-cutting Cheat Sheet! Designing and setting up a job for die-cutting can be complicated. To help you along the way, we’ve compiled some useful information to keep on hand when planning your next job. 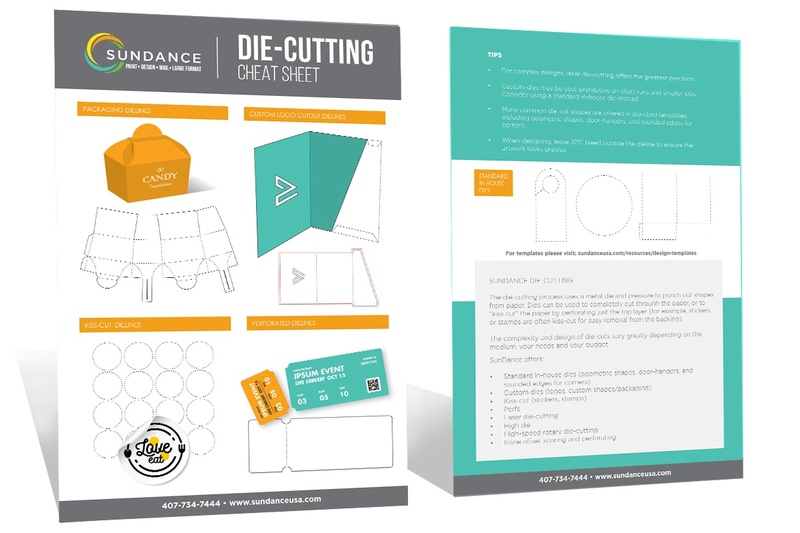 Our two-sided printable Die-cutting Cheat Sheet outlines the most commonly used dies, as well as custom designs, tips and tricks and an overview of our die-cutting capabilities. 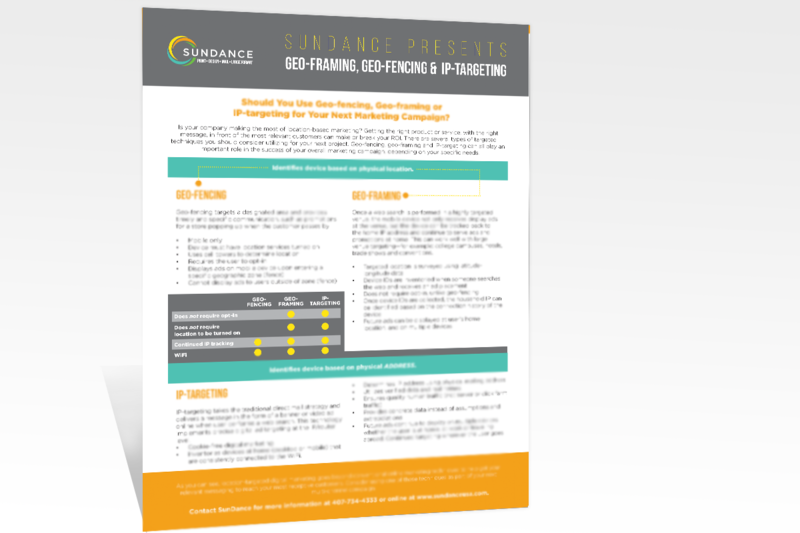 New GeoFraming Cheat Sheet Now Available! Is your company making the most of location-based marketing? Getting the right product or service, with the right message, in front of the most relevant customers can make or break your ROI. There are several types of targeted techniques you should consider utilizing for your next project. Geo-fencing, geo-framing and IP-targeting can all play an important role in the success of your overall marketing campaign, depending on your specific needs. New Binding Cheat Sheet Now Available! There are a lot of factors to take into consideration when designing a job with binding. 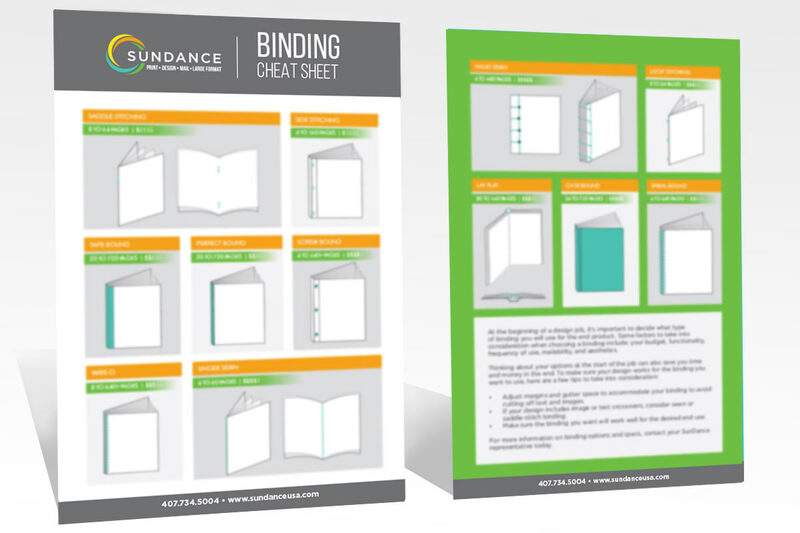 SunDance has designed a simple two-page Binding Cheat Sheet that you can use as a guide for your next project. With pictures and specs of a variety of common binding choices along with some helpful tips, it is a great reference tool to keep on hand. Folding Cheat Sheet Now Available! 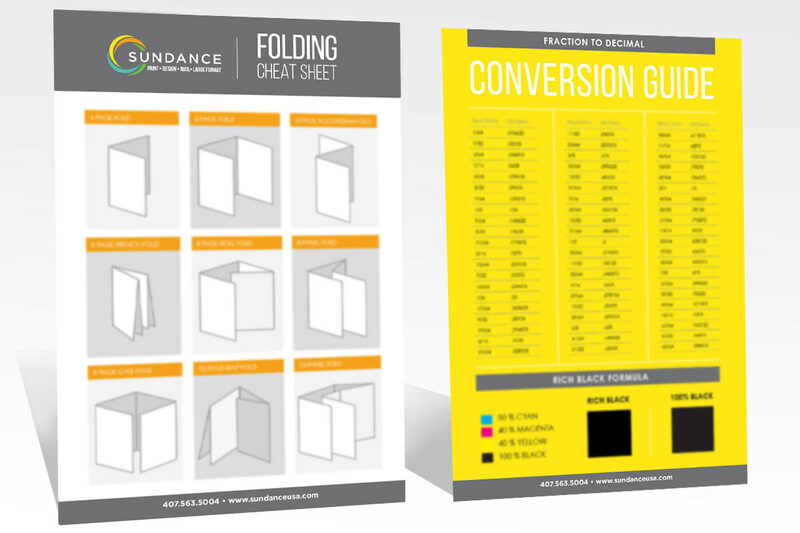 Add our new Folding Cheat Sheet to your collection of SunDance Cheat Sheets! This visual reference guide highlights some of the most popular folding techniques, along with a decimal to fraction conversion chart. If you plan on using some new folding techniques on your next printing job, this Cheat Sheet can help jumpstart your project.